Influencer marketing is much different from celebrity endorsements, which focuses on attaching a brand to a famous actor or sports figure. 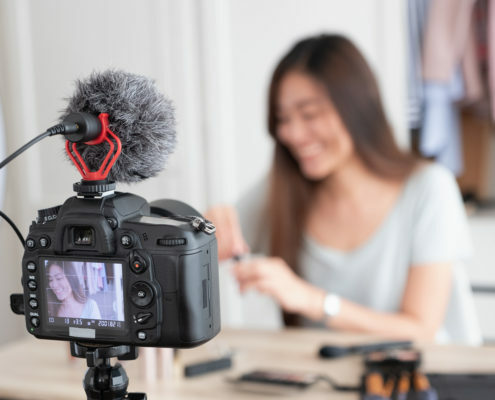 An influencer develops a relationship between a brand and consumers by earning their trust and developing a loyal following through various media outlets such as Instagram and YouTube. Influencers create their own content and brand message, focusing on promoting authenticity to a targeted audience. Retailers are recognizing that when it comes to connecting with today’s generation of consumers, a product recommendation from someone they relate to can have far more impact on a purchasing decision than that of an actor or pop star. With billions of dollars at stake, forming a partnership with a successful influencer, regardless of age, can be a big opportunity for retailers large and small. Earlier this month, Ryan’s World, a toy and T-shirt line created by a six year old first-grader whose YouTube channel reaches nearly 900 million viewers each month, is releasing a line of merchandise to be sold exclusively at more than 2,500 Walmart stores in the United States and on the Walmart.com website. The star of the YouTube channel “Ryan ToysReview,” known only by his first name to protect his youthful privacy, helped select the toys and apparel that will be sold at Walmart under the name Ryan’s World. Ryan’s six YouTube channels have captured the attention of children of all ages. “Clearly what’s emerged in the last few years is they’re watching an influencer like Ryan on YouTube, and he’s their authority,” says Anne Marie Kehoe, Walmart’s vice president and divisional merchandise manager of toys. “That’s why we thought this was something to really move fast on.” The line of toys and apparel will be expanded in time for the Christmas holiday shopping season at Walmart. Studies are revealing that influencer marketing can deliver significantly higher return on investment (ROI) than traditional forms of digital marketing. More than 48 percent of marketers who are using influencers intend to increase their budgets this year. Ninety four percent of them believe the tactic to be very effective. The phenomenon of influencer marketing is poised to become mainstream as it expands across a wider range of social platforms, and sellers are working to perfect a system that can be included in the overall marketing strategy.